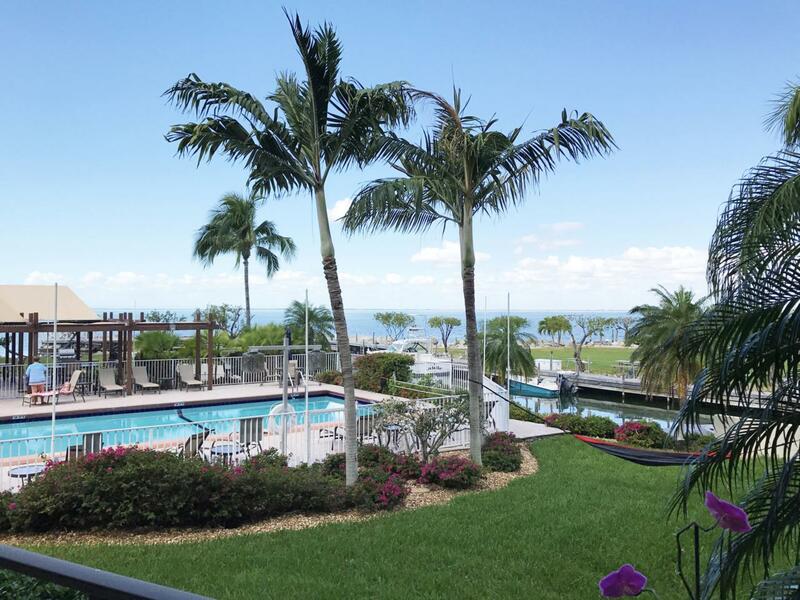 Live the dream in the Florida Keys at Tamarind Bay Club in Key Largo. Waterfront complex with 50 units in 3 buildings. Ground floor unit offers 3 bedrooms, 2 bathrooms, custom decorated with nautical fishing theme surround. Gorgeous bay views from living room, dining room, master bedroom and patio areas. Step off your patio to the pool or down to the docks. No need for an elevator...although the building has one. Complex offers Assigned boat slip for up to a 34 Ft boat and (1) assigned parking space with guest parking. Other amenities include: Gated Entry, Tennis Courts, 2 Swimming Pools, Trailer parking, boat ramp, BBQ Grills, more. See the Supplement for more information. This may just be your perfect piece of paradise in the Florida KeysPets permitted (with restrictions). You are allowed up to 2 pets either cats, dogs, tropical birds or any combination. Nearby shopping at Tradewinds Plaza - Mile Marker 101.4 ocean side with KMart, Publix, GNC, Bealls Outlet, Library, DMV, Tradewinds Liquors, and more. John Pennekamp Coral Reef State Park is only 1.5 miles down the road at mile marker 102.6 on the ocean side for your many visitors who are sure to want to come by. Looking for great restaurants...no need to look too far to find The Fish House, Encore Room, Lazy Lobster, Alfredo's, and more. And if you must leave our lovely island, located at mile marker 104.5 on the Bayside - 45 minute drive from Miami off the 18 mile stretch which will take you directly to the Turnpike to go to Miami, Hollywood, Ft. Lauderdale and other places north.